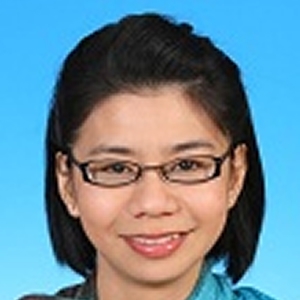 Lynda Lim was a former Research Director at ASLI’s Centre for Public Policy Studies (CPPS) in Malaysia. She provided strategic and technical direction on issues based research and knowledge management. With a focus on knowledge management initiatives, her work included technical advising, programme management, policy research and analysis, to facilitate both the public and private sectors’ understanding of domestic and regional issues, centred on Gender Equality and Women’s Empowerment; and Strengthening Inclusive Development in Malaysia. Prior to this, Lynda has worked for the UNICEF, UNHCR and UNFPA in Indonesia, Pakistan, Egypt and Timor-Leste. She has extensive experience in designing and managing gender-based violence (GBV) programmes and coordinates GBV multi-sectoral response efforts in the post-conflict, recovery and development settings. Lynda was also an independent consultant to the Development Alternative Incorporated (DAI) Europe to conduct gender analysis in Malaysia, a study commissioned by the European Commission. She holds a Master degree in Mission and Development Practice from the University of Wales, UK.